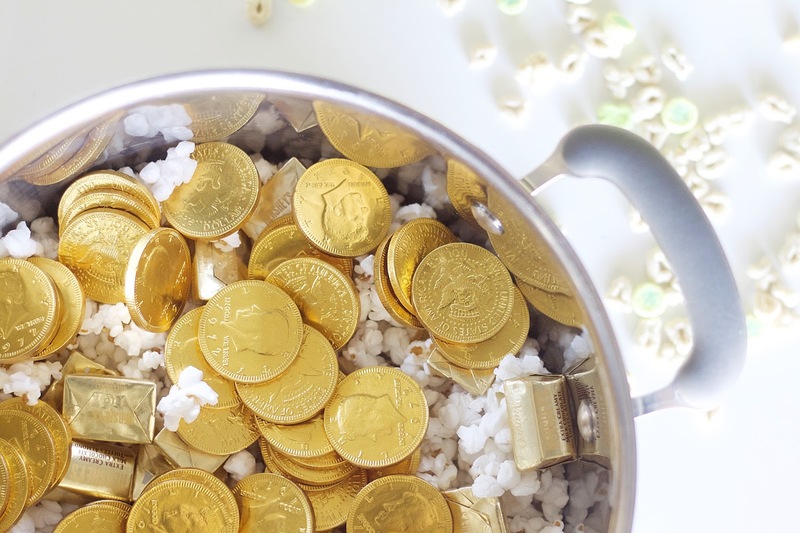 This pot of gold is something that my children look forward to every March 17th. The tricky leprechauns are never fooled with the traps that are set, but they are always nice enough to leave an amazing pot of gold behind for my kiddos to find. 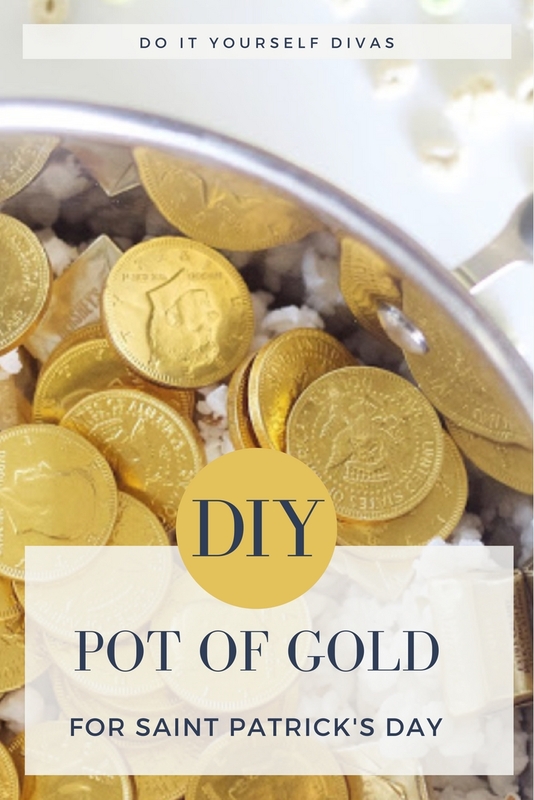 All that is needed to make your own pot o' gold is a pot, some popcorn, gold coins, and any other golden wrapped treat your heart desires (rolos and hershey's are perfect). Mix it up and Voilà! I love the magic of the holidays. Happy Saint Patrick's Day from mine to yours.